Many times the road side accidents as well as accidents during skiing, or falling result in damage to the spinal cord. Sometimes, this damage can be permanent and lead to the life long lower back paralysis. This leads to a severely degraded quality of life, dependence on others and psychological trauma. The medical scientists are increasingly looking at ways on how to improve the quality of life of such persons. 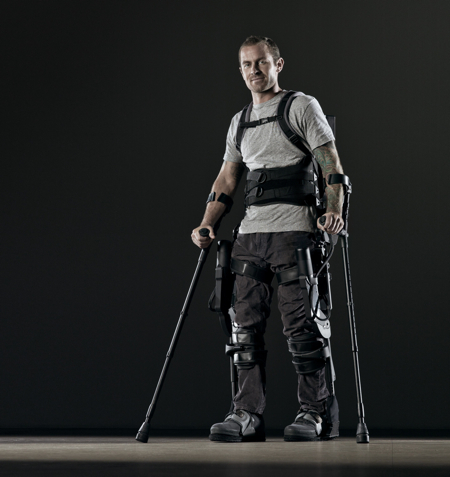 One of the wonderful and promising development in this regard is the wearable robots, called Ekso exoskeletons. These robots were originally developed for the military as a way to provide super human strength to the soldiers. However, their potential beyond military use has been realized. 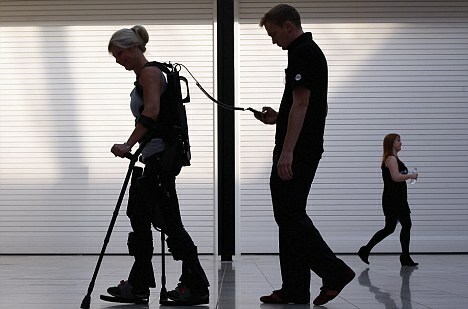 These robots are enabling the persons with paralyzed lower back to stand up and walk. One such suit costs around $130000. Ekso device looks shockingly similar to the human body. Its aluminum frame acts as the human bones and motors as the muscles. 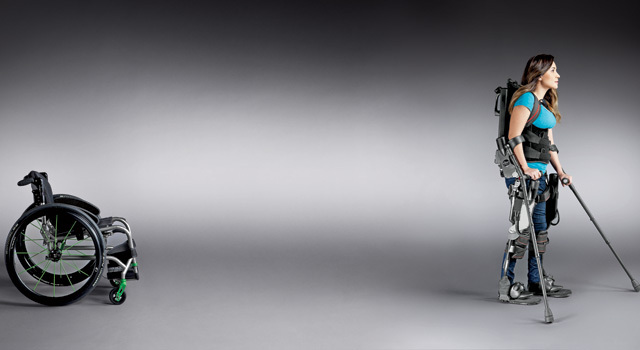 The Ekso is also useful for the old aged who have degraded bones that are more prone to braking. This device can also provide augmented human capabilities to industrial workers like miners, dockers, and construction workers. A video of the device can be seen here.